Through my journey to recovery, I've said thanks countless times; to my doctors, my nurses, my parents and my bone marrow donors. But the other day, I realised that I must have had at least a hundred bags of blood pushed into my veins at some point in my treatment. That's on top of the two very vital bone marrow transplants I had. It's staggering the lengths our health system will go to in order to save a life. I guess only after getting sick and really needing those bags of blood did I understand the importance of blood donation. After volunteering at the blood bank, I realised how much goes into just maintaining proper stocks. Most blood products have to be collected on a regular basis, as they can't be frozen. In fact, all of them can't, except for plasma. I'd been brought up with the idea, the common misconception, that giving blood is a painful, time consuming process. But in truth - it was anything but. I watched people walk in out within twenty minutes, smiling the whole time. Only 6 of which was actually spent giving blood. But despite all the great work that thousands of Australians, and those in other countries of course, do every day in donating blood - there is still a critical shortage. In fact Australia, as a country, still has to import blood to keep up with demand. Only 1/30 people donate. These guys often donate regularly and are the reason we don't have to import huge amounts of blood. People don't give because they're afraid of the procedure, because they don't think it's needed, or because they don't care. 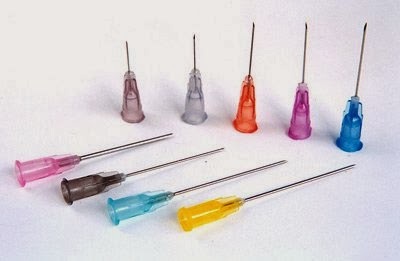 But what if it I told you that the only pain involved was the initial needle prick... pain no more than a blood test? That it only took 6 minutes. That there is indeed shortages in giving blood, and in the bone marrow donor registry, particularly in the minorities, and during winter when regular donors get sick. And what if I told you that there are pretty awesome benefits of giving blood too - you get paid, you reducing your risk of major diseases like cancer and heart attacks and you even lose quite a bit of weight losing weight. So you're not only saving 3 lives every time you donate... you're helping yourself too. Well - all of these are true. And I hope these ideas will make you see that you can't afford NOT to give blood. 1) It's needed - and demand for it is always increasing. 2) It's an easy, almost painless procedure. 3) It's a free health check-up every 3 months and there are HUGE health benefits to boot! 4) There are financial benefits and free stuff that you could be missing out on! 5) It's a great way to lose weight and you get a guilt free meal each time you do it! Here's a video I made outlining the benefits of giving blood - and why you can't afford NOT to do it! 1) The necessity is ever present and ever increasing. Everyone's heard this stat. 1/3 people will need blood in their life, yet only 1/30 donate regularly. Yet - what people don't understand is that, as a first world, developed country, we will never have a shortage of blood as we are rich enough to buy blood in times of shortages. Their health systems suffer and people literally die when they don't get access to the blood they need and to boot... that money doesn't come from nowhere. We pay for it. Through our taxes. Blood donations have to be constant. As I said before, you can't freeze whole blood or platelets. And during cold and flue season in particular, regular donors are often sick and can't donate - so it's always needed and not something you can or should put off. The increase in the amount of bone marrow transplant procedures done, as doctors realise it is a viable method for treating a variety of autoimmune conditions, such as diabetes, scleroderma and even AIDS, as well as blood cancers like mine, means that demand for bone marrow donors is higher than ever before. But the registry still remains sparse, meaning many people will not get a second chance at life, one that I did. Despite the scary name, over 95% of people who get called up to donate marrow (a 1/400 chance of that even happening) never actually have their marrow invaded. And joining the registry, only a small blood test, or a swab of the cheek. I'll explain how it works more in the next section. Some cultures in particular lag behind others in regards of joining the registry, and giving blood. People of Indian, Asian, Black or Middle-Eastern descent in particular have much lower rates of participation on this front. This pie chart above, based on the American Bone Marrow Donor Registry, demonstrates this shortage for Asian and African-Americans in particular. A lot of this is due to cultural beliefs that blood is related to male virility, but a much larger part of this is due to laziness or being afraid of the actual procedure. Well, hopefully, the next point will change your mind about that. 2) It's easier than you think and involves little risk to the giver. Many people relate the process of giving blood to intense pain and a lot of sacrifice on behalf of the donor. While it is a very noble thing to do, it is not something that people should be afraid of. Did you know, whole blood donations are done in 6 - 10 minutes? Did you know that the only pain involved is the initial jab from the needle, not from the blood leaving the arm? And did you know that a vast majority (over 95%!) have absolutely no side effects from giving blood? I won't kid you, the needle is larger than most. But the fact that you're required to drink a litre of water before donating, and the fact that you've got the best phlebotomists (the fancy word for blood takers) working on you means your chances of having severe pain from a blood donation are very small. In fact, in his greater than 20 years experience in donating blood, my father has only had one "two-arm-specials," where they had to jab him twice. IN OVER 200 DONATIONS! I've had a MUCH higher rate of blood takers missing veins in my 3 years of treatment, that's for sure... That statistic is a true testament to the skill these guys have. Here's a picture to put it in perspective. The one they use in blood samples is the blue or purple one standing up. The one they use in taking blood donations is the light blue or black one lying down. Yeah, it's a little bigger, but when you know that the pain only lasts an instant, not throughout the whole donation, it doesn't make much of a difference. 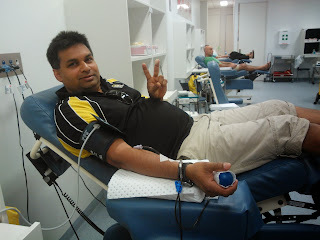 Relaxing during a blood donation. Over 200 (300 now since I wrote this) done by this man alone. Joining the bone marrow donor registry doesn't involve extra pain. In fact - NEVER does someone actually take a sample of your bone marrow! To join the registry in Australia, you have to donate blood and be under the age of 45, so that if a match is found, you don't get the unfortunate situation of a person refusing to donate their stem cells due to fear of the procedure. Even then, joining the registry only involves the taking of an extra 20mL of blood, which they use to figure out your "tissue type," which is used to match the recipient to a donor. When you consider you're giving 475mL of blood at the time anyways, that isn't too much. To join up - next time you donate blood - ask to join the blood donor registry, and someone will hand you a form to do just that. In America though - it's even simpler. It only involves buying a $5 kit and sending in a sample of your DNA taken from a cheek swab to join. Once you're on the list - you're on there forever. And there's only a 1/400 chance of being a match for someone in your lifetime. Even the procedure of donating marrow is nowhere near as painful as it sounds. In 95% of cases, it's actually STEM CELLS that you donate. The process takes 3 hours and basically involves taking blood from one arm, siphoning off the stem cells they need, and pumping it back into your other arm. Even if they need to take it from your marrow, you're under general anaesthetic, so it's nowhere near as painful as it sound (in fact, that 5% of people who do give via that means, often do so because they'd prefer to not feel anything and take a while to recover than have to take the other option). 3) It's a free health check-up for you. And it reduces your risk of heart disease, cancer and diabetes. Every time you give blood, they need to assess whether your blood is healthy. So giving blood every 3 months is essentially a free, quick health check-up, at least for your blood counts (though I wouldn't recommend not getting physicals/check-ups done on this basis). It's a great way to catch diseases early. Indeed, in my case, I would've known I had myelodysplasia syndrome (MDS) a long time before it developed into its deadly form, acute myeloid leukemia (AML). And MDS is much easier to treat than AML, which I found out the hard way. I'm not saying that you're at risk of getting such diseases if you don't give blood, but you will definitely pick up on any abnormalities you may have earlier, making any conditions you may develop much more easily treatable if you do. But early detection isn't the only benefit. Giving blood regularly has been shown to reduce the risk of heart attacks in men, as well as the ability to slow insulin resistance which leads to diabetes. A study of nearly 3000 men in Finland showed those who did give blood regularly had an 88% lower risk of heart attack than those who didn't! That's HUGE! Donating blood has been known to reduce the buildup of toxic elements in your blood, including iron, making it not only a free detox, but a good way to reduce your risk of cancer! 4) You're missing out on a lot of benefits - including money. While talking to a few donators at the marrow centre, I realised that a lot of them were there not only to give others a second chance at life, but also to help themselves fiscally. It's not just school kids who benefit. A good chunk of people donating were actually being paid to do so by their employers. There are many schemes and benefits out there where you can donate blood and actually be paid for the time it's taken out of your day by your employer. And I'm sure sitting in a chair for 10 minutes is much more preferable to slugging it out at work! Depending on where you live, there may be tax benefits eligible for donating. And indeed, in some countries, they even pay you for donating blood! 5) You miss a chance at losing weight and have a chance at eating great food without guilt. When you donate blood, your body needs to replace what was lost. In fact, it takes at least 650 calories to replace a pint donation ofblood. That's the equivalent of going on a 5km run! 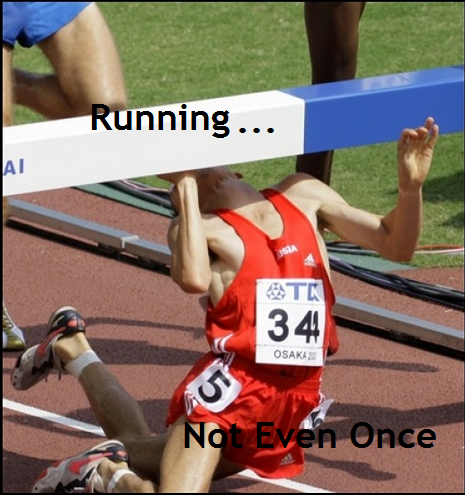 Feel a split second of pain in your arm and sit on a chair for under 10 minutes or run 4 or 5 k's, you decide. Not only that - but after giving blood, you're given a chance to go crazy over a veritable buffet. At the centre where I volunteer (Liverpool) there are sausage rolls, pies, soups, milkshakes, coffees, toast and more - and it's served by chirpy, good looking volunteers (well, at least when I'm on duty). Dad going to TOWN on some freebies. Remember - this is only the COLD food they provide. Add to this sausage rolls, pies and milkshakes, and that's what's on offer every time you donate! Some centers have other meals on offer too, including lasagna, pies, and even give out additional meal vouchers for restaurants. 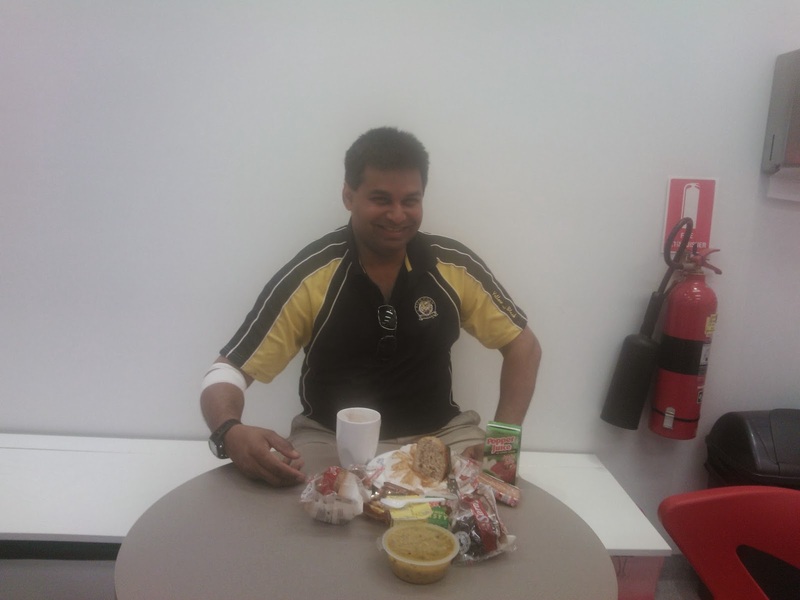 Before giving blood, make sure you have a meal and drink a litre of water within 3 hours of donating. It's a requirement and you don't wanna be turned back on the day! Try and include high iron foods and things like orange juice (which increases iron absorption) to ensure your iron and haemoglobin levels are sufficient. A tip from the nurses there - spinach and orange juice in the meal before you donate increases iron levels into the healthy range for those who find themselves turned back for being too low. Make sure you haven't travelled to areas with infectious diseases in the past 3 months and make sure that you can prove any recent tattoos you've had were done in sterile situations. After you're done giving blood - make sure you drink a glass of water before eating or drinking anything hot, just in case, as it reduces the already small chance of vaso-vagal syncope. How can you help if you can't donate blood? Unfortunately, a small chunk of women, and some men, can't donate blood as their iron levels are not high enough. And there are other reasons why people can't donate too. But if you can't give blood and join the bone marrow donor registry, you can still spread the word and encourage others to do so! Whether you mention it next time you catch up with friends or just post it on your Facebook wall - these things all count and if it helps 1 extra person get into donating blood, well, you've already saved 3 lives! If you are donating - make sure you "check in" on social media each time you give blood. Letting people know what you're doing is not boasting (even though it's definitely something you should be proud of) when it gets others to donate too! You can also volunteer at the Red Cross like I do, either by helping out and giving snacks to the donors, or by driving a car or van that picks up donors. It looks great on your CV and you're just as vital a cog in the great machine as the donors themselves. Click here for more info. Participating or donating to people in the World's Greatest Shave or events like the Leukaemia Foundation's "Light the Night Walks" also helps in a similar way. Other things you can do include donating to the Red Cross or to the Leukemia Foundation, which can be done through the links below. These organisations are trying to find a cure and save people from having to go through this pain in the first place! And make sure you share this with others and on your Facebook Walls so as many people as possible join up and so more lives can be saved. How bone marrow tranpslants work - How they saved my life. I haven't posted anything on the blog in about 3 weeks now. Nearly 3 weeks ago now, I had a couple of seizures. I'd had a few before, if you've read my previous post on hallucinations, you'd know it was a result of PRES syndrome and that the weeks after the seizures were the scariest of my life. During that time, I'd question even the most mundane aspects of life, be hugely forgetful and would be confused by things, such as movie plots, that normally wouldn't phase me. The day before I had these last seizures, I'd asked my doctor if the ones I had before could affect me over the long term. I'd been feeling for a while that my ability to memorize things had been compromised. I was finding it harder to understand things, and it became more and more evident as I started studying for exams that those previous seizures had impacted my capability to learn and remember things. Then, the next day, the seizures happened. I was put onto a maximum dose of anti-epileptic medications. And, almost straight away, my mind was REALLY affected. It made me feel fuzzy, unable to concentrate, confused and perpetually drowsy for the next few weeks. This time though, they couldn't even figure out what had caused the seizures. They'd just... happened... overnight and it was lucky I was sleeping next to a wall so my parents had heard me banging against it when I started convulsing and could come to my aid. And to make things worse, my exams were only a week away. And I started doubting myself. It seemed all my positive attributes, not only my brain and mental capability, but also my physicality and my looks, had taken a huge hit during my treatment. It's made me wonder... what if this occurs forever? What if my mind and my body will be affected for my whole life by all this? What if I never get back to what I used to be. What if this was my new normal? Now I find myself really questioning all the struggles I've been through and all the effort I'd put in to get past them. The strict control of my diet for months... what was that for? I wasn't losing any weight, I wasn't getting any fitter and I certainly wasn't starting to look like what I used to either. The constant exercise I was doing? Why bother when I'd be going to hospital every two weeks where I'd lose all the minuscule gains I'd made? 7 months after my transplant and I can barely last 5 minutes in a game of basketball, yet alone get anywhere close to dunking. After being through so much, I guess I expected a bit of smooth sailing every now and then, or a surge in progress or SOMETHING to show for all the pain I'd put myself through. But it hasn't. And it's... JUST... SO... FRUSTRATING. The frustration got me to a point where I was asking myself; what is the point in life? I mean we all go through it and go through our journeys... but what's it all for in the end? Our thoughts, feelings, emotions... in the end, aren't they all just a bunch of chemical reactions? Who cares about us and what we feel? In the long run, aren't we just tiny pieces of some huger puzzle that no-one knows the answer to? After a while of this confusion, I needed a way out. After a while, I opened up a browser and headed over to this blog and reread all the comments and messages about how it had helped people. I re-read the post about the lessons I'd learned from cancer. I decided to take my own advice. What I'd done before, I did once again for this newer... longer challenge. I took a step back and looked at where I was objectively... almost as if I was someone else looking at my life. That pushed the anger and frustration into the background. Then I asked myself why I was feeling pissed off. Why I was getting depressed. That's when I realised that the frustration I was feeling; the negativity, the anger, the depression - that was all coming from ME. It was a product of MY MIND. Why was I getting angry then? What was it doing... other than making me more frustrated? There wasn't an answer to that question. Getting frustrated about something I couldn't help... that made no sense. Why not instead focus on the things I could control instead? For the first time in weeks... that haze of anger faded away. But there were still some things that bugged me. And so I kept asking myself... why? So the transplant and my treatment have ended up changing me for good. Why should I let that make me feel down? It was something I couldn't control, and putting myself down for something I couldn't change was useless, and only harming myself. Why was I getting down and depressed about that? First of all, were they eventhinking those things in the first place? Even if they were, why should what someone THINKS about me make me feel bad? Did I even know them? Even if I did,wouldn't getting down, negative and angry about it only hurtme? And probably make them happier? So I wasn't as fit as before. Why should I get down about that? I could still work towards getting back to there. Yeah I couldn't get there quickly.. but losing weight and getting fit wasn't something that happened overnight for anyone, yet alone me. Because I knew it'd take time, I could give myself time to get there. My mentality was the best thing on my side in that battle... having getting back into basketball as a goal would be a great goal to keep me busy, that was for sure... (here's how I managed to do it over time. And how you too can put the best thing on your side in the constant battle of staying healthy - your MIND). Indeed, why wasn't I happy, or proud about what I had done already? To come back from not being able to walk to being able to run around the suburb and play a few basketball games (not well I might add, but I did manage to play a few) is a HUGE achievement. Something that I should be proud of, something I could draw from later in life. This "new normal" of mine... it wasn't something to adjust to. It was something far beyond what I had before. That version of me in the past, could he have gotten through what I have in the past 2 years or see life as clearly as I can now? Could he walk down the street, always comfortable in his skin? He did care about people, but could he feel what they had? Did he know what it was really like? He couldn't then. But I can now. And if you've been through hard times yourself, you can too (though trust me - you don't wanna wait to learn it the hard way). All the doubt I was having about life after all of this... I re-examined. What was the purpose of life if all my work could get thrown away in an instant by my health? Even if our lives seemed meaningless, our feelings and thoughts still exist. And, if there is no other clear reason for us being here, why not make our purpose to leave this place in a better place than we found it, make others happy and enjoy ourselves in the process? The power we have to give happiness to others can never be taken away. And that, in the end, is what matters, and what lasts. Seeing the hundreds of thanks and messages of appreciation I'd gotten from others about my posts made me realise that the happiness I could give others from sharing my experiences was more rewarding than the superficial, fleeting moments of joy that good looks, money, power and fame could bring. But despite seeing all this, losing some of my mental proficiency was still a scary prospect. Since finding out I had leukemia, I'd held on to a dream of someday becoming the guy who found or helped find the cure for cancers. But these seizures and the side effects I was getting from the medication was making that dream seem unattainable. Hell, I couldn't even count on myself to be the best doctor I could possibly be now, yet alone one who could think up cures for diseases. And so I fell back into that spiral of doubt. I got scared again. What if I never got back to being as sharp as I was before? But a few words from my doctor a few days ago took away that fear. Those words were very much like what he first told me (that the good news is you're 17 and you have leukemia, but the bad news is, you're 17 and you have leukemia) and was HOW I'd realised that you always had a second way of looking at things. He told me of a professor of his while he was studying maths (before he decided to do medicine of course) who'd told him that any problem was solvable. All you had to do was take a step back and approach the problem from another direction, from another perspective, over and over again until things became clear. The same thing I'd realised myself... in someone else's words. And so I started looking at my current situation a little differently. Maybe I'd end up getting bad marks in my upcoming exams because I just couldn't grasp the logic behind things or remember things as well as I used to. But for the rest of my life, I would have the knowledge that I could still pass in a very hard course while my brain wasn't even functioning properly. Why should I stress out over exams that I physically was incapacitated for? Wasn't that only harming myself and wasting time I could put towards getting a few extra marks? After exams were over, why should I stress about the results? What would that stress achieve other than making me feel bad about myself? It definitely couldn't change the results. Why was I worrying about the side effects of the medication? I was confused and drowsy right now, but that doesn't mean those side effects would stay with me in the long term. It was because I was put on the maximum dose without any build-up or weaning into it that I was having these symptoms in the first place. Worrying about it wasn't accomplishing anything other than making me feel bad... so why do it? And so looking at things from another perspective and asking why is helping me to get over the frustration and self doubt that had been building up inside of me for a while. I'm not completely over it yet, I still get angry at myself and depressed when I puff out within minutes of starting a workout, or can't remember things in an exam or when I look at myself in the mirror. But I'm working on it. And I'm feeling happier and happier and less frustrated every day. It can be hard seeing another way of looking at things, especially when your brain is against you. It's even harder when you've made negativity a habit, something you reflexively feel and do. But if you can share your feelings with someone else, if you can do positive, reinforcing things like setting an alarm, going for a job or if it comes to it, re-reading these posts when you're at your lowest - you CAN be happy and you CAN accomplish whatever you want to. All you've got to do is give it take a step back and give it some time. Hopefully the next one won't take as long to post up. This one took a very long time to write with the fuzzy head and I'm honestly not sure if it's that good or if I keep repeating myself... the next one won't take as long hopefully and will probably be about why you can't afford not to give blood.